Securing SSH Access to your VPS is imperative these days. Within minutes of your VPS being live on the internet, ‘bad actors’ will attempt to gain access. Having a good IPTables firewall in place is an important step, but you still need to secure the services you leave open through that firewall. In a previous tutorial we covered the various ways you can access your VPS. We covered alot of Do’s and Don’ts but in this tutorial we will take it one step further by showing you how to Secure SSH and implement key based Authentication. The first step is Securing SSH by changing a few default settings in /etc/ssh/sshd_config. First you need to disable root logon via SSH. Leaving root access open will leave an avenue open for ‘bad actors’ to attempt to brute force your root password. Disabling root access is simple. Simply uncomment the following line in /etc/ssh/sshd_config and change the option to no. On the “workstation” system, generate your SSH keys as user “bob”. This generated a 2048 bit key pair in bob’s home directory under .ssh/ called /home/bob/.ssh/id_rsa and /home/bob/.ssh/id_rsa.pub respectively. The .pub file is your public key. You will place this in the “authorized_keys” file on the server. The file called id_rsa is your PRIVATE KEY! Do no, repeat DO NOT, give this key to anyone. Just as you would not give out your password, you should not give anyone access to this key. 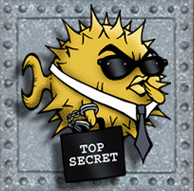 You do however need to have this private key in your .ssh directory if you want SSH to use it. So if you have multiple workstations you will need to copy your private key to the workstations you will use it from. Next you need to set the proper permissions on the authorized keys file. Set it to be readable and writeable by only you. SSH Key Based Authentication is now setup between “Bob’s” “Workstation” and “Servers”. Disconnect your SSH session and reconnect. Now you will no longer be prompted for your password. Also since we disabled direct root access over SSH you need to be able to still get root access. Luckily Bob was previously added to the group “wheel” in /etc/group by another Administrator. Since that is done, Bob can simply ‘su’ to access the root user and do what he needs to do as an Administrator. Thats all there is to it. Now you can securely access your VPS over Securely over SSH with Key Based Authentication.